Sixteen members of the Athol Bird and Nature Club spent a glorious Indian Summer Day on Massachusetts’ North Coast and the Parker River National Wildlife Refuge (PRNWR) on Plum Island. Veteran trip leader Mark Taylor guided the group through the various habitats helping members learn the field marks of the species encountered. Traveling along Route 2 and Interstate 495 American Crow, Herring Gull, Blue Jay, Mourning Dove, Black Duck, and several Red-tailed Hawks were observed. The first official stop of the trip was at the Newburyport Seawall overlooking Joppa Flats. Great Black-backed Gull, Red-throated Loon, Great Cormorant, Great Blue Heron, White-winged Scoter, Bufflehead Duck, Common Goldeneye, Mallard, Long-tailed Duck (Old Squaw), Brandt, Ring-billed Gull, and many Bonaparte’s Gull were added to the growing list. At Massachusetts Audubon’s new Joppa Flats Sanctuary Northern Mockingbird and Gadwall were noted. Entering the PRNWR a Northern Harrier was observed coursing over the vast salt marsh. Stopping at the “Salt Pans” wildlife viewing area, a Peregrine Falcon was observed in detail through members telescopes as it perched upon the wooden stays used historically to stack the salt hay cherished by gardeners. An immature Merlin (Pigeon hawk) was observed perched near the refuge maintenance yard providing excellent looks at this medium sized falcon. A large buck White-tailed Deer stoically watched us from the safety of the dune forest. At the Hellcat Swamp Nature Trail Belted Kingfisher, Horned Lark, a flock of 40 Snow Geese, Canada Geese, Greater Yellowlegs, Northern Pintail, and Green Winged Teal were noted in the impoundments maintained for waterfowl. Hiking along the dune boardwalk Downy Woodpecker, Black-capped Chickadee, Tree Sparrow, White-breasted Nuthatch, House Finch, and American Goldfinch were noted. While over the ocean several feeding Northern Gannets, spectacular large white oceanic birds with black wing tips, were observed plunge diving head first into the surf for fish. At the southern end of the island Snow Buntings and an Orange Sulphur Butterfly were observed at close range while Common Loons, Black Scoter, Purple Sandpiper, Dunlin, Sanderling, Common Eider, Red-breasted Merganser, Black-bellied Plover were observed in the surf near the remnants of a glacial drumlin known as Emerson Rocks. The final stop of the trip was made at Salisbury Beach State Park. With the summer’s human visitors long gone the scattered Pitch Pines of the campground have become one of the state’s most reliable sites for White Winged Crossbills. These tame visitors from the boreal forest were extremely approachable and offered many photographic opportunities for members. Purple Finch, Red-breasted Nuthatch and Snow Buntings were observed in the campground. The channel entrance to Newburyport Harbor is home to many Harbor Seals were observed both floating in the open water or perched on exposed rocks as the brilliant orange sun approached the horizon, signaling time for our return home. 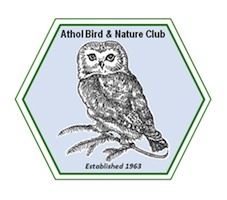 The next club event will be the Annual Athol Christmas Bird Count to be held December 15th 2001.